Engelmann was an outstanding psychologist and Gestalt theorist in Brazil, his homeland since fleeing from Germany in 1941. He was professor for psychology at the University of Sao Paulo. He published extensively, both in Portuguese and in English, lately fucussing on his main subject of research, "subjective states". He was a highly respected member of the international Society for Gestalt Theory and its Applications (GTA). He died on November 3, 2017, in Sao Paulo, Brazil. We miss him. 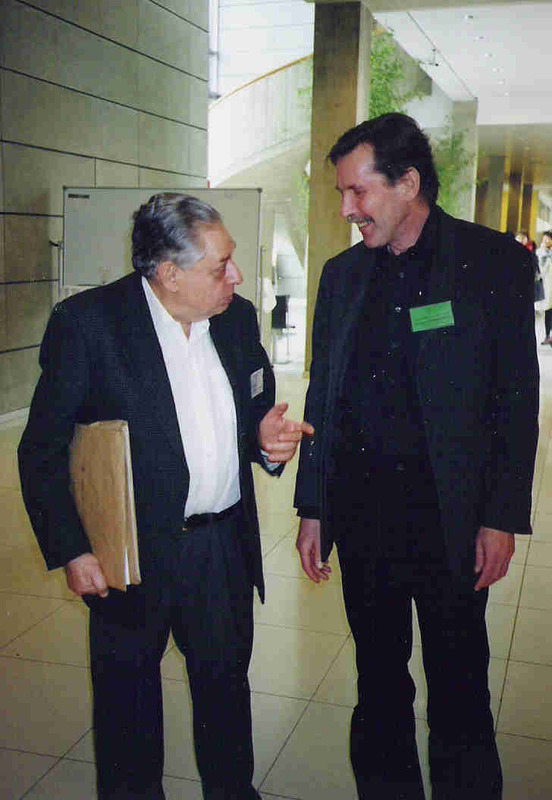 Arno Engelmann (left) at the 14th international GTA conference at the University of Graz, Austria (with Gerhard Stemberger, then chairman of the GTA). Gerhard Stemberger: Arno Engelmann (1931-2017) - Ein Gestaltpsychologe in Brasilien. Gestalt Theory, 40(1), 95-100.